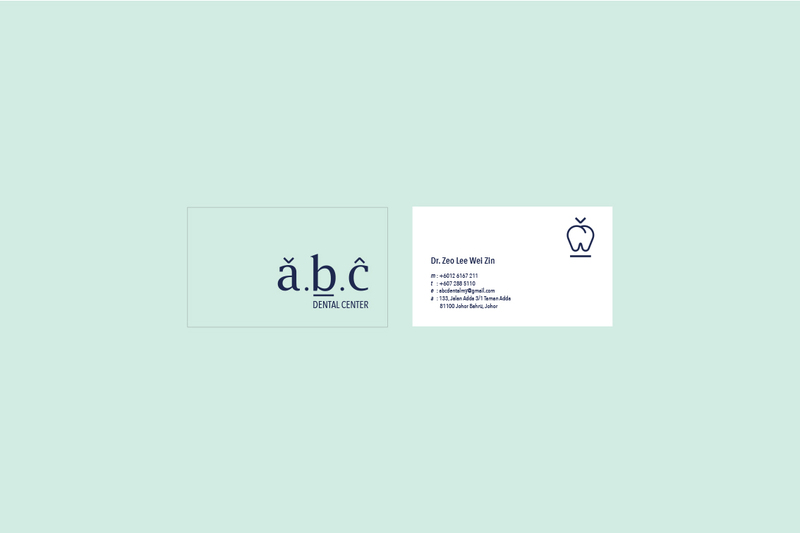 The name a.b.c Dental Center is the acronym for “Always Better Care”. a.b.c Dental’s mission is to take on a holistic approach to dentistry that consider your diet, oral hygiene routine and other factors to determine the cause and suggest treatment. The core brand idea is then developed base on it’s mission to care and equip customers with knowledge on dental hygiene. Simple typographic glyphs is added onto each tailor made font to associate them with the brand. The symbol on the letter A mimic’s the stem and leaf of an apple (diet), an open book symbol to associate the letter B while the letter C symbol is akin to a roof.